A four-person team from the NCCP travelled to Estancia, Iloilo to do an initial damage and needs assessment. They were joined by Tabang Task Force, a local alliance of church groups formed after Typhoon Haiyan (Local Name: Yolanda) hit the Panay Group of Islands composed of Iloilo, Antique, Capiz and Aklan. 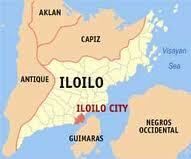 Estimated population of Panay Island is about 5-6 million and 70% of the population live in the coastal villages. Agriculture and fishing is the main source of livelihood. As of November 16, 98% of Estancia’s 46,000 residents were affected. The municipality has a total of 25 villages, of which 13 are coastal communities. There are 92 confirmed dead and hundreds are missing. Hundreds of houses were either totally or partially destroyed. There are barangay islets under Estancia that also suffered heavy damages but because of problems with accessibility and communication, accurate statistical report is not available at the moment. At least 30 casualties were also reported in the northernmost town of Carles, which has a population of about 70,000. As of November 16, power and communication lines in all municipalities of the 5th district have not been fully restored. In Barangay Paon, almost all buildings of the Northern Iloilo State University (formerly Nothern Iloilo Polytechnic State College) were either partially or totally destroyed. Classes are suspended and school officials initially set the resumption of classes in January next year. However, given the extent of the damage, school officials doubt that they can meet the deadline. In Barangay Poblacion (town center), the Estancia Fish Trading Port was totally destroyed. Commercial establishments were likewise ruined. An oil spill occurred when the Napocor Power Barge was swept and cut loose from its anchor by strong winds and slammed on nearby homes along the coastline, damaging a large portion of the main road, and killing an elderly woman and her 2-year old granddaughter. The local water system was also affected thus, majority of the population now depend on deep-wells for their water supply. However, in some remote coastal villages like Barangay San Roque, residents believe that the deep-wells are already contaminated with sea water as there was flooding and strong storm surges during the typhoon. Typhoon Yolanda also destroyed almost all small pump boats and heavily damaged medium to large fishing vessels in several coastal villages. This has greatly affected the livelihood of Estancia and other coastal towns which mainly depend on the fishing industry. Some fisherfolks tried to continue fishing even after the disaster, however, people generally shy away from eating fish because there were reported dead bodies found floating along the coast lines. 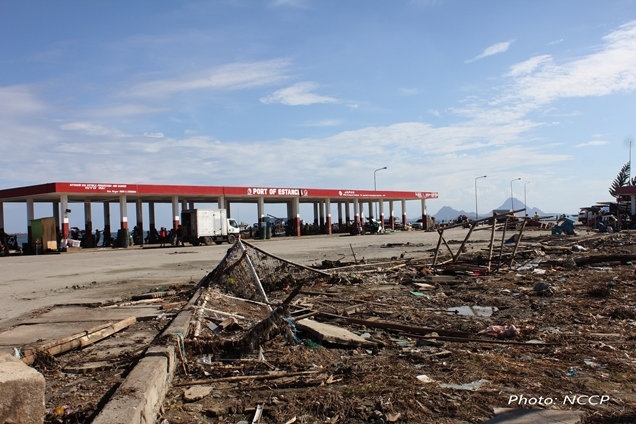 According to residents, the prices of basic commodities shot up immediately after the typhoon. 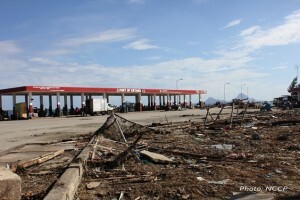 A liter of gasoline would fetch at Php 100.00 in the early days of the disaster. However, the local government has intervened and threatened the local business owners with prosecution to keep the prices down to pre-disaster level. Agriculture also suffered heavy damages as hundreds of fruit-bearing and other hard-wood trees were massively uprooted or destroyed especially in coastal villages. According to the survivors interviewed by the team, there was no designated evacuation center in Estancia. 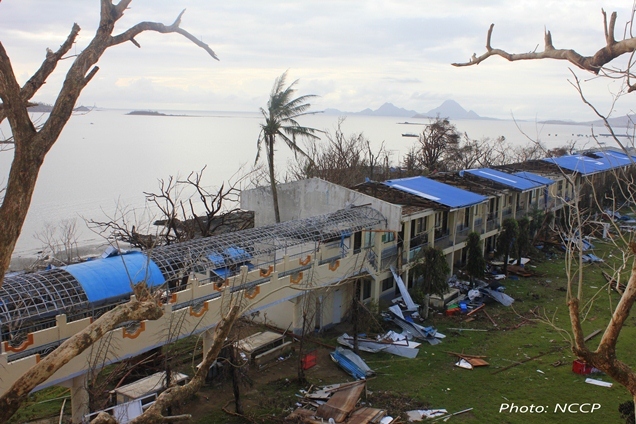 The rooms of NISU were used as temporary shelter at the height of the typhoon by residents of Barangay Paon upon the initiative of school officials. During the team’s visit, there were around 15-20 families sheltered in two rooms of the university. 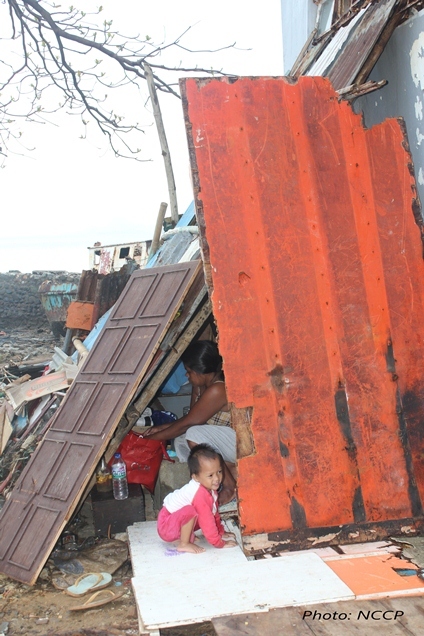 Some families built makeshift shacks along the beach from blown off junk materials. While most infrastructures were damaged, there is a need to find better and decent evacuation centers to shelter displaced families and relocate those living in make-shift homes made with boards and other light materials. Food distribution must reach other communities especially those in remote areas which bore most of the brunt of the typhoon. The content and quality of food packages should be sufficient enough to provide food supply to a family of 6 for at least a week. Source of potable water should be identified and made accessible while repair of damaged artesian/deep wells should be started. Restoration of power and other communication utilities should be prioritized as this would help expedite relief distribution efforts and also ensure the accuracy and timeliness of pertinent information coming from the ground. Given the extensive damage on the economic livelihood, an immediate plan to provide alternative sources of income for the survivors should be laid down. The huge number of families affected would easily drain the government resources used in relief distribution if alternative livelihood programs were not put in place.